Description Hand coloured. Size 33cm x 27cm (13” x 11”). 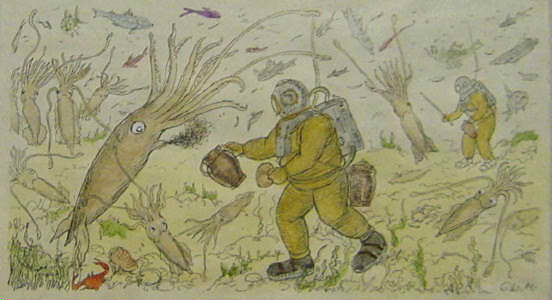 A diver collecting sepia on a cuttle-fish farm.